up with the rate of change. A key advancement is the rise of automated networks. For the last three decades, data networks have done a couple things really well: connect more things and get more complex. This is a trend that will only continue. Internet of things (IoT) and the geographic spread of enterprise WANs will, like containerization in the data center, push the number of networked entities up by three or more orders of magnitude in the next decade. This growth will usher in new pressures for network performance and reliability, and will create new challenges for management and monitoring. 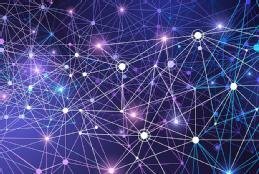 Enterprise networks will need to juggle an even larger number of connected devices, including networked entities in the data center that only exist for only a short time; branch connections that come and go over the course of a month; and IoT gadgets that exist for years but only need connectivity once an hour or day or week. Running complex and burgeoning networks has always been possible as long as IT had enough network engineers to do the job. As staffing pressures built up in the last decade, however, automation in networks increasingly stepped up to help, providing the support network teams need to keep things going. New generations of automation now entering the enterprise network will be prerequisites for a future defined by containers and IoT. In the data center, software-defined networking (SDN) and cloud management stacks will wrangle the myriad shifting needs of a containerized, microservices environment. In the campus, SDN will again play a pivotal role in keeping services available and performant. In the WAN, software-defined WAN will become the baseline. As engineers begin to layer automation tools more deeply into their networks, they will have to trust each new layer. At the same time, management and monitoring will rely on the use of centralized, policy-driven tools that define what the network should accomplish -- both in performance and in order of priority. As software-defined WAN (SD-WAN) and data center SDN tools are already demonstrating, allowing network management software to sweat most of the details of meeting service-level agreements -- while IT focuses on clearly identifying what the SLAs need to be -- pays big rewards. Early adopters of SD-WAN tools need only half as much staff time to run the WAN post-deployment, for example, while also enjoying a 95% reduction in branch outages, according to Nemertes Research's "2017-18 Cloud and Network Research Study." The biggest hurdles facing IT in the march to a more automated future are money, training and trust. Enterprises -- unless committed to open source options -- have to invest significantly in new technologies, such as SD-WAN and SDN, to fully exploit the benefits of policy-driven automation. They also need to invest time, and possibly training dollars, in getting their network staffs up to speed in the new realities of automated networks. Often, that means retraining network teams to think more like programmers so they can use automation toolkits and APIs effectively. Most of all, IT professionals need to become comfortable with automated networks. As engineers begin to layer automation tools more deeply into their networks, they will have to trust each new layer. That will force some to get past bone-deep mistrust learned (painfully) over the decades. Failures and missteps are, as always, inevitable. But forgoing automation is no longer optional. What hurdles do you see in your own enterprise in the move to increasing the level of automated networking?